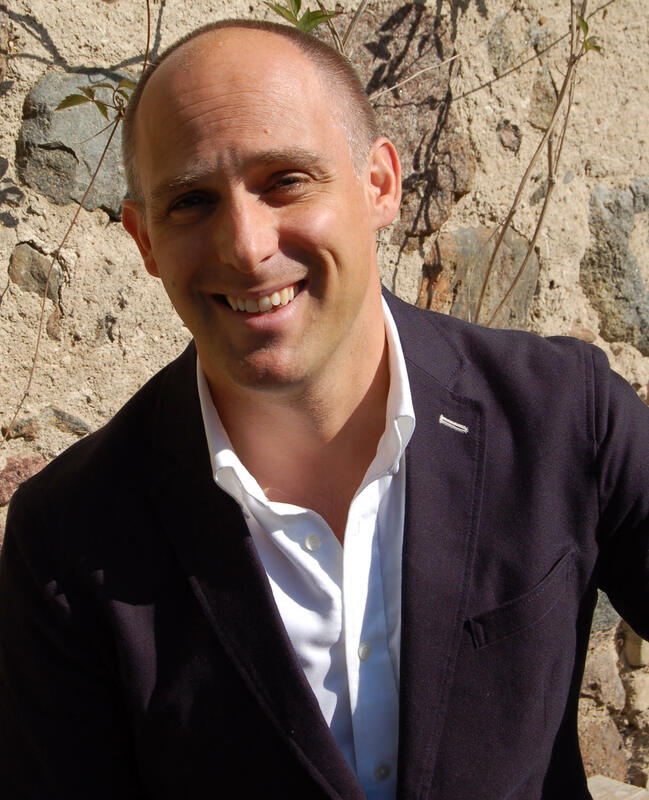 Michael Booth has studied at the world’s most famous cooking school, Le Cordon Bleu, had his book on his family’s food-filled adventure across Japan turned into a NHK World Japanese TV animation and travelled across Scandinavia trying to find the key to their success. The award-winning author of five non-fictions books, Booth is also a journalist, broadcaster and speaker, writing predominantly on travel and food. His work has been published in The Guardian, The Independent, Independent on Sunday, The Times, The Telegraph and Condé Nast Traveller magazine among other publications. He is a correspondent for Monocle magazine and their radio station Monocle 24, reporting from Copenhagen, where he lives with his family. His first book Just As Well I’m Leaving provided him with an opportunity to escape Denmark, when he followed Hans Andersen’s travelogue across Europe, making his own adventures on the way. His latest book, The Almost Nearly Perfect People, sees Booth continue to explore his relationship with Denmark and the Nordic countries as he travels to each of them in the hope of understanding their secrets to success, what they think of each other and whether the lifestyles meet up to expectation. I interviewed Booth via email to ask him to share his secrets to success when it comes to writing. You worked in television before you began writing for magazines and going back to university to study journalism. Why choose a career in writing? Television was absolutely awful, a toxic environment, but I stuck at it for a while because I had been brainwashed into thinking it was the job every graduate wanted. Eventually, I realised it just wasn’t ever going to lead me anywhere remotely happy-making. It was only when a friend mentioned that there existed such a thing as a post-graduate course in feature journalism, that I saw a possibility to become the kind of journalist I admired without having to work on a local newspaper reporting on overdue library book scandals and suchlike. I realised that freelance feature writing was a passport literally to the world, and would allow me to butterfly around to whatever subject interested me. At what point did you decide that you wanted to write a book? I suppose, monstrous vanity and ego having always been part of my character, writing a book has always been something I dreamed of, it was just a question of finding the right topic, and then persuading a publisher to take a chance on me. The trick after that was to get the publisher to accept a proposal for the second book before the first had been published. By that stage he was in too deep. You’ve previously said that you have no creativity or imagination to write fiction. What is it that draws you to writing non-fiction? It’s just that it’s the thing I am least worst at doing, or the only thing I can do. There are fictional aspects to what I do. Creative non-fiction still requires you to shape and filter your experience, and I use many of the techniques of fiction. I have never tried to write fiction. The whole idea makes me cringe (not fiction, you understand, but me attempting it). Your family accompanies you on your travels while you’re researching. How do you make it possible to balance your home and work life? I’m glad you ask me that, because it’s not often something that male writers/journalists get asked, but they should. Whenever possible, though less these days, I have tried to include my family in work a) because I miss them when I am away and I think they quite miss me and, b) because it brings a really valuable perspective to travelling. And on that note of balance – how do you approach balancing writing for newspapers, magazines and online with larger projects like your books? At least until recently, it wasn’t so much a question of balance, more – as a freelancer – being incapable of saying no to work. These days, my short form work has taken a back seat to the books. Books take up so much time, and they are such a precious opportunity, that I focus almost exclusively on them. Columns are a little different – they can be a fun distraction from the knotty stuff of a first draft. I read in an interview with you about your latest book The Almost Nearly Perfect People that the Norwegians weren’t happy with you pointing out how their oil industry isn’t all that great for the planet. How do you receive positive reviews and criticisms? Yes, the Norwegians did get their knickers in a twist. In terms of reviews and criticism, the thing I personally find most interesting about the whole experience of publishing books is that, generally speaking, I am quite a sensitive blossom, so I would have expected to take criticism badly, but actually it has virtually no effect on me, which is odd. The only time it troubles me is when a writer or critic I admire (or previously admired) hits me with a criticism, especially when I can recognise that they are right. That hurts but I take their comments very seriously and often apply them. The rest of it – the one star Amazon reviews, or the usually quite incoherent comments below the line in newspapers – is almost entirely inconsequential. Something that I specifically enjoyed in the book was how you used humour, anecdotes and nuggets of obscure facts to guide the reader through your exploration of Nordic culture. You really have managed to find your own voice in your writing. How would you advise other writers to find theirs? That’s really nice of you to say. My publisher was initially a bit reluctant about Scandinavia as a subject because he thought it might be a bit boring, so I felt I needed to make it as entertaining as possible. I don’t think I have much of an original voice, it’s more a pose which has been cobbled together from other writers I admire, and that pose has calcified over time into something which I think is a close approximation of me on the page. The best advice I can give in terms of the voice thing is to read your work aloud. The other best advice: leave what you have written to fester for a while, before returning for the next draft. Aliz Tennant is a freelance journalist from the UK currently residing in Vancouver, where she’s completing her Masters in Journalism at the University of British Columbia.